// - LA FEMME READERS - //: BEA: All you need to know + more! BEA: All you need to know + more! Emily from Red House Books and I have teamed up to provide all our lovely followers with some BEA facts that will help all the newcomers. Last year was my first time at BEA and holy mother did I love it. It's an experience that'll stay imprinted in your mind! 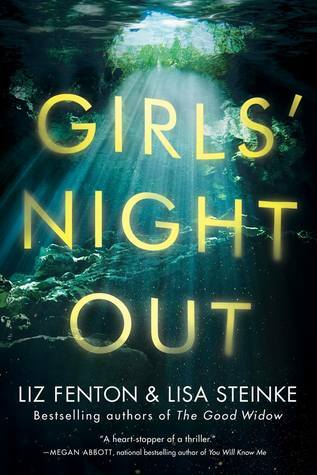 After meeting all those cool authors and bloggers, it'll put you in a book daze for months. I hope our questions help answer all your BEA needs. We have a link below where you can ask us any other questions you've been pondering about. On Emily's blog, the form is the same so by asking once, we'll both see your questions. We look forward to your responses! And for those of you not going to BEA, I'm sorry. :( I wish you all could come! On the bright side, maybe you will sooner or later, BEA isn't going anywhere for a while. For those of you attending, I'll be there on May 24th and 25th -- so if you see me, please say hi, I'd love to meet ya! Q: What should I bring to BEA? Emily: Quick answer - as little as possible. By the end of the day you will have a lot of books to carry home (or back to your hotel). I brought way too much with me last year. Really all you need are the basics - cell phone, wallet / ID, some cash, BEA schedule (which you will get when you check in), pen, and maybe a snack. Eleni: I agree with Emily on that one. I did a big mistake last year by bringing my pocket book. This time around, a little wristlet or even a cross body bag would work. I tend to carry my life with me, but the necessities really only matter during BEA. You won't care about your make-up, you'll be too busy drooling over all the YA goodies and almost fainting from meeting all your favorite authors. Emily: Comfortable shoes are a must! It's function over fashion for me! Comfortable but respectable clothes. Don't over think it. Eleni: Amen on the comfy shoes! Even my flats were hurting my feet, that's how long you are on your feet. Sneakers would be the smartest decision, but will I take my advice? Probably not! :) I tend to wear leggings and a top, that usually equals comfy and cute. Q: What should I NOT do? Emily: Worry too much. Lots of talk last year about rude bloggers. Well, yeah - bloggers are people and some people can be rude! You are going to run into all kinds of different folks and if someone rubs you the wrong way? Shake it off. You are there to meet great people and find great books. The actions of others should in no way mar your experience. For every 1 person you see acting in a way that may be shameful, you'll meet 3 people who are absolutely wonderful! Eleni: Take your time! Don't rush around like a mad woman. I did that last year and I felt like a crazed kid in a candy store. Yes, they'll be so many things going on at once you'll want to attend everything, but remember it's going to be a long day so try to save up your energy and strategize. And don't skip out on lunch, I didn't even eat much last year because I felt like I was going to miss out on something. Also, to touch on Emily's response, yeah rude people in general do exist. After all, you're breathing New York air so the stereotype of rude New Yorkers might just rub off on them hehe. Ignore them and have fun! Q: How much should I plan? Emily: For me, it's more about being aware of what's going on then actually planning every minute of my day. I'm already stalking the Search It, Find It BEA page for info on what authors will be signing and I've made a list of who I would like to see. I've also looked up info on a few book related events going on that week that I would like to attend. BUT will I see all these authors and attend all these events? Maybe, maybe not. I plan on gathering up as much info as I can before I get there but I'm going to be flexible on what I actually do. Emily: Don't plan on eating :) Ok - don't plan on eating much! The food at the JJC is expensive and not that great but it's there if you need it. Hot dog stand out front is cheap but maybe NYC hot dogs aren't your thing :) Honestly, last year, I wasn't even hungry until the end of the day. A good breakfast, a quick snack and a good dinner and I was fine. Set aside extra money for the expensive stuff - like the $3 bottle of Snapple - after a few hours on your feet carrying books around - it will be well worth it. Eleni: Yes, JJC food is expensive! I mean come on $3.00 for a water bottle? Really? You're better off bringing one from your house or hotel. Like Emily said the hot dog stand outside is affordable and well at the end of the day if you're desperately hungry or thirsty, JJC is there to provide you with whatever you need. Emily: Make sure you have cash. For the snacks in the JJC, for the hot dogs out front, for the author signing donation boxes and for the random cab ride you might not be able to avoid. Eleni: Cash for sure! Last year, I believe I carried $100 with me, that way I had extra cash if it was necessary. It comes in handy when you want to go eat out with your blogger friends or even use the Fedex facility in JJC to ship your books back home! 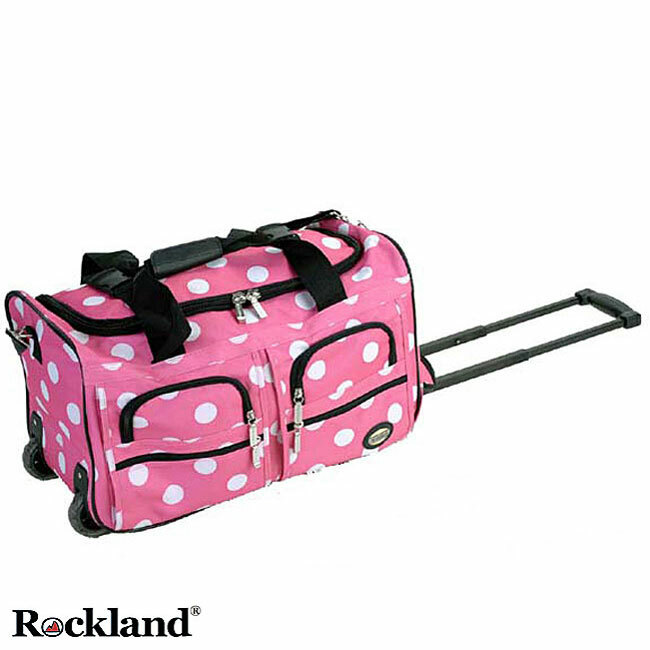 Q: Do I really need to bring a suitcase with me each day? Emily: Yes! There should be a section set aside for bag checking. $3 a day (last year's price) and you can visit your bag as many times as you want to fill with books. Everyone will have them and you shouldn't feel silly bringing one. Remember though - no rolling bags on the Exhibit floor. Eleni: Hell yes! I remember Emily and I made numerous trips to our suitcase to unload books. It's a huge advantage, especially with all the ARC's that will be available to you. Plus, on the floor you are allowed to hold tote bags that a few publisher's and JJC will provide. After a while your shoulder will feel like it will fall off, so when it's time to go back to your suitcase you'll feel great knowing it's there. No need to worry though it's securely protected by a lady so nobody will steal your belongings. This picture above is similar to the one I used, it's simple and has wheels on it for better traveling. 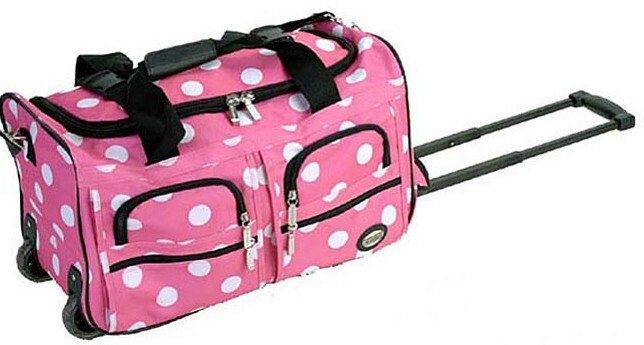 Overstock is selling them around $25-27, so it's not too late to grab an affordable bag! 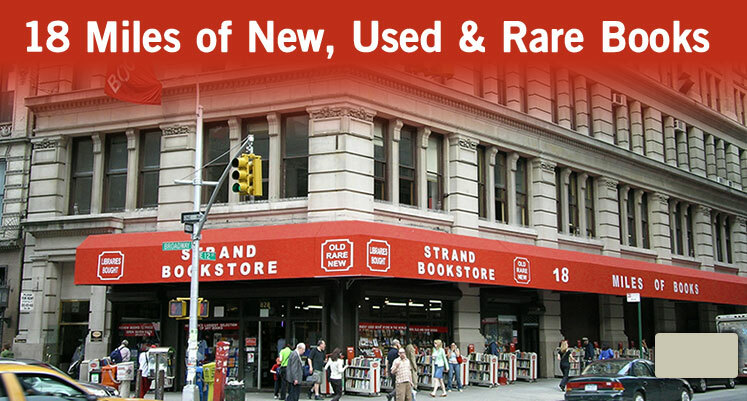 Want to visit the Strand bookstore? Eleni: Trust me you want too! It's such a HUGE bookstore with an exceptional variety of YA and adult books. Plus, there is even a section for YA ARC's -- super cool right? 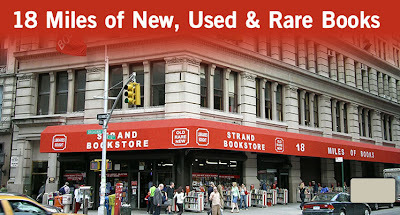 Emily: I still dream about the Strand sometimes :) It's such an awesome place and yes, if you can, you should go! Some of you might be taking taxi's, which I believe costs around $10 from JJC, depending on traffic. For those of you using the subway, here is a website that will give you the exact train details you need to reach any destination: www.hopstop.com -- I use this site for all my train rides! It's easy and very helpful. Here's for hoping that BEA stays in the city next year so that I can attend! Until then I'm looking forward to hearing all about it from everyone. I live vicariously! Pardon me for double posting. After seeing that you can attend single days I'm thinking about going maybe one day, but I'm a little unsure of how to register. What's the best way for a blogger to attend? Media/non-media? I have gone thru and made a schedule of all the authors and signings as well as the sessions I want to attend. But it sounds like there are more authors than there are listed. I am also doing the Blog World colocated expo which I know will blow my mind! Thank you for this, Eleni and Emily! So excited to meet you!